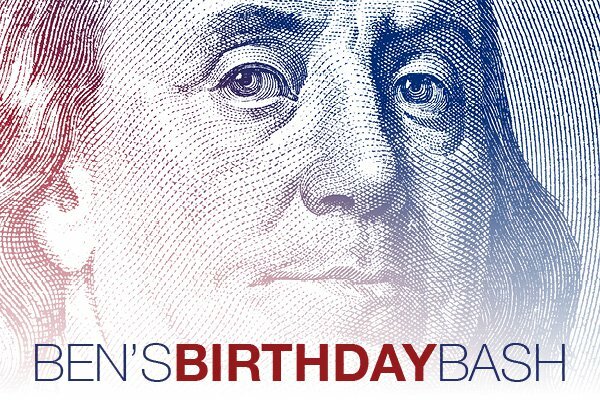 us on January 17th for Ben Franklin's 312th birthday party. Price includes hors d'oeuvres and cash bar of wine and beer. Must register to attend. No Walk-Ins.